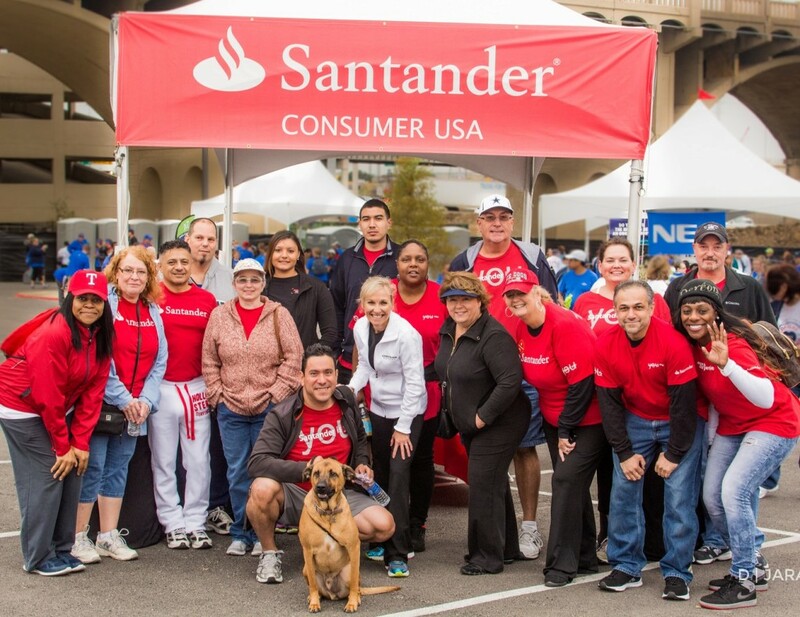 Santander Consumer USA associates at the Dallas Heart Walk on Sept. 13. It seems pretty safe to say that Santander Consumer USA has heart. The proof is in the fundraising – almost $60,000 total in this case – the amount collected for the American Heart Association through a SCUSA campaign. The SCUSA fundraising effort in Dallas lasted about a month starting in August and culminated with associates’ participation in the 20th annual Dallas Heart Walk on Saturday, Sept. 13. Glenn Harper, the Tree of Hearts. Colorado associates previously collected nearly $9,000 leading up to the Denver Heart Walk in June. The fundraising effort included four Dallas-area SCUSA locations – Downtown, Dallas (Stemmons), Lewisville and North Richland Hills – as well as operations near Denver, CO.
Every year, SCUSA partners with the Heart Association to raise money that will be used toward preventing, treating and defeating heart disease, stroke and other cardiovascular diseases and to “encourage SCUSA associates to live our value of community service by raising money to support this charitable organization,” according to the company’s culture and engagement team. 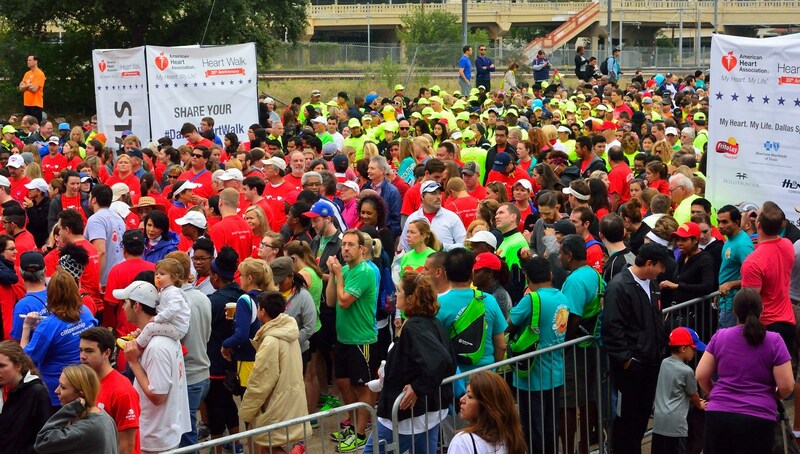 The Dallas event, which covered a three-mile course beginning at the base of Reunion Tower, is the largest Heart Walk in the country, with tens of thousands of participants. Thousands participated in the Dallas Heart Walk, called the largest in the U.S.
“Joining in the American Heart Association fundraising activities and walk was a great experience,” said Charlotte Lowe, senior vice president of Consumer Compliance. “Whether you are a new SCUSA team member or veteran, participation makes you feel that you are contributing to the team while meeting colleagues and enjoying the friendly SCUSA culture. 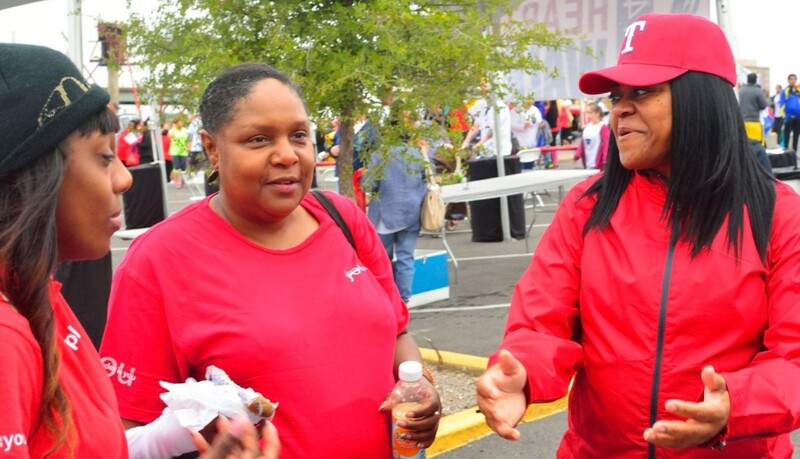 SCUSA associates chat during the Heart Walk festivities. Jaramillo also took some of the photos of the Heart Walk event that accompany this blog post. 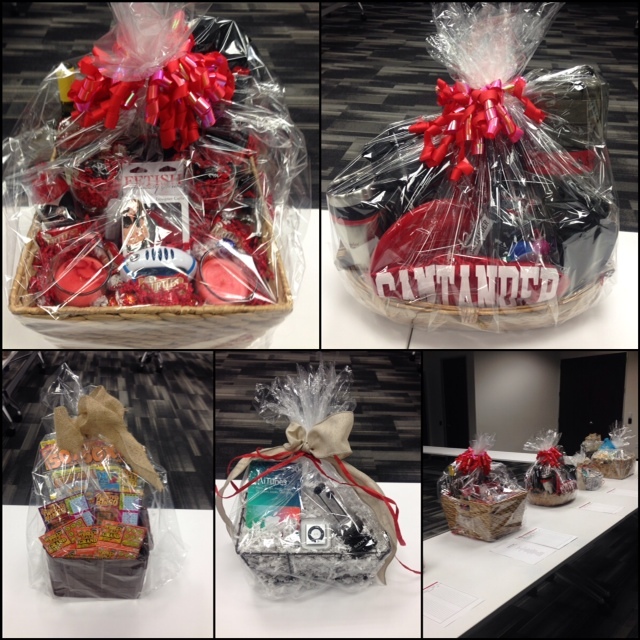 Before the Heart Walk, SCUSA raised funds at a tomatina toss during “We Are Santander” week in June, and through gift-basket silent auctions, SCUSA shirt sales, contests, a pie-in-the-face event, dress-down days, painting auctions, and food, snack and bake sales. 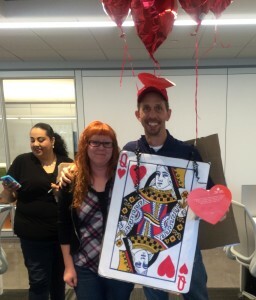 Glenn Harper, SCUSA’s chief technology officer, even made the rounds as the AHA Tree of Hearts to collect donations. “This is my fourth year being involved in the campaign to raise funds for AHA, and once again I am humbled by the time, energy, support and monetary donations from our associates here the Lewisville office of Santander,” said Rhonda Lilly, assistant vice president of business operations.